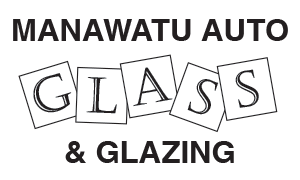 Manawatu Auto Glass and Glazing offers repair, replacement and installation of glass products. We offer quality glass repair services Palmerston North wide and beyond, across commercial, residential and industrial clients. We specialise in the replacement and repair of various types of glass in windows, windscreens, doors, roof lights, shop fronts and double glass units. We also provide & install glass for new homes and renovation projects. We offer a huge range of quality splash backs, double glazing, mirrors and glass showers. So, if you need quality window repairs Palmerston North or Manawatu wide, come talk to our team today. We are the team to turn to if you have a broken windscreen or need a professional window repair in Palmerston North. Call us today on 06 358 7095 or email manawatuglass@xtra.co.nz so our team can get in touch as soon as possible. We specialise in the replacement of all types of broken glass in windows, doors, roof lights, double glass units and shop fronts. We offer specialty glass, plastic and laminates for heavy machinery, including logging vehicles, trucks, earthmoving equipment, tractor and farm machinery. The products in our stock are suitable for most trucks, which include side windows and a wide range of digger glass. We also have a great number of templates so the glass can be manufactured in the fastest time possible. We supply and fit high-quality laminated safety glass windscreens for a wide variety of vehicles. If we don’t have what you need, we can source it for you. If a full replacement isn’t necessary, we can perform a repair so you can get back on the road faster. We provide a complete range of glazing solutions to meet your needs at the best possible price. If you need a new or replacement glass doors, shop front window, glass balustrades, security glass, mirrors, store shelving or double glazing, our glaziers are the team to call. Learn more about our commercial glazing services. Add value to your home with high-quality glass fittings. We stock and install a wide range of glass products, including glass showers, splash backs. Our experienced and friendly glaziers can advise you on the most cost-effective and suitable solution for your home.